Tecnica Forge, a walking boot that should fit you better than anything you’ve ever worn, moulded to the shape of your ankle, instep and arch, has gone on sale this spring (2018) in sports and outdoor shops equipped with the specialist equipment to fit it. Once we all wore off-the-shelf boots and shoes. If we were lucky, or if they were made with a little more care and attention, they fitted first-time. But often they pinched and chafed and begged to be taken off, until eventually we crossed the discomfort barrier and wore them in. Competitive sport improved the fit of shoes. If you ran, or kicked a ball, for a living, what you wore on your feet was important. It was a vital piece of kit, essential for the job. High-end recreation was the next sector to enjoy the benefits of fitted footwear. If you’re spending all that money on ski equipment, why wouldn’t you want to make your feet feel comfortable too? But, until now, walkers, from serious hikers to less strenuous ramblers, have had to make do with whatever was on the shelves. After all, who makes money out of walking, apart from a few hiking guidebook authors. Lots of people walk long-distance trails, but nobody keeps their time. It would be wrong to exaggerate the challenge of buying a new pair of (conventional) boots these days. I’ve bought many pairs that caused me little or no trouble, and certainly no blisters. Take some time, do some research and it’s not too difficult to find something that is good for many miles. I was reluctant to give some of my boots up, old and faithful friends that they became. The soles of my last pair were still robust enough to take the under-foot strain of the Camino de Santiago in late 2017, but they were letting in water. I abandoned them on the lid of a refuse bin in Santiago when I’d finished the walk, hoping that a passing homeless person might find a use for them, in dry weather. But I have had suits made to fit me, so why not boots? 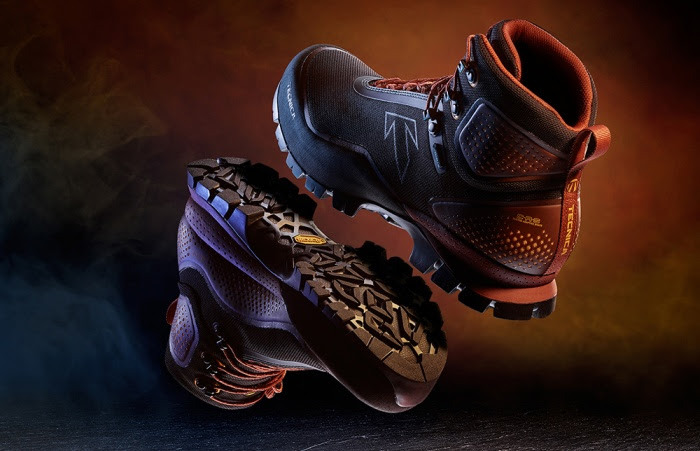 I was intrigued by the offer from Tecnica to try out their new Forge boot, which uses the innovative Custom Adaptive Shape or CAS technology the company first applied in its range of alpine ski boots. (Ski boots manufacturers such as Tecnica have used mouldable materials to provide a custom fit for the slopes for years. But the technology had never been applied to hiking boots.) Short of commissioning a bespoke pair from a cobbler, this was my best chance to get my hands on, and my feet into, the most perfectly fitting boots I was ever likely to wear. 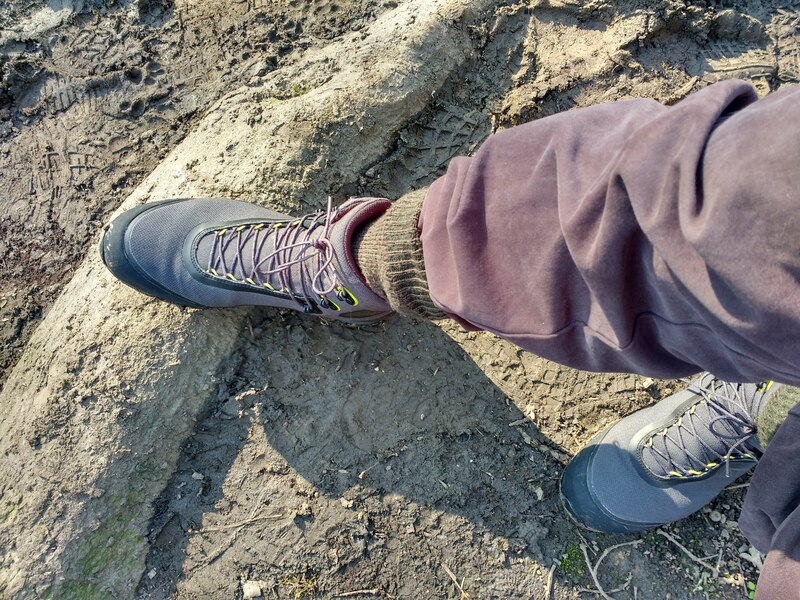 I went to ProFeet, in Fulham in West London, for a fitting of the Tecnica Forge, described as “the world’s first thermo-mouldable hiking boot”. I sat in a comfy chair while a member of staff put insoles heated to 180 degrees on my stockinged feet. Then I stepped into two hefty compression bags that were inflated to apply 160 millibars of pressure, to mould the insoles to my feet. In the meantime a pair of boots in my size were also being heated. Wearing the moulded insoles, I put on the boots, and stepped back into the compression bags. They were inflated again to 160 millibars, which had the effect of pressing, or moulding, the warm boots against the contours of my heels, arches and ankles, to give me a “precise anatomical fit”. After 10 minutes of this I removed my booted feet. The entire fitting process had taken about 20 minutes. I was wearing, in theory, the best fitting footwear I had ever acquired. The Forge comes in leather and synthetic versions. It has Gore-Tex waterproof liners, and an “adaptive” Vibram sole, made up of three separate layers: a “soft-density” bottom layer to conform to the terrain; a hard-density layer to protect the foot from sharp rocks and stones; and a cushioned layer on top for flexibility. Tecnica is targeting a widening market. After several false starts, the message that people need to walk regularly – with the recommended daily target of 10,000 steps, or about 5 miles – is beginning to stick. And good boots are not only relevant to steep hills in the Peak District or Dartmoor. The ProFeet team took us on an outing into the remoter corners of Wimbledon common in south-west London, over some surprisingly steep hills and uneven terrain, to test the footwear. My first serious outing with my new boots (March, 2018) was in the hills above the Wye Valley, north of Brecon in Mid Wales. It was the first time I’d worn them since the fitting a few days earlier. Instead of the conventional tongue, the boots have a kind of cuff (an “overlap collar”), that wrapped around the top of my foot. This is designed to equalize pressure there, and perhaps eliminate one possible point where chafing might occur. Perhaps it took me a second or longer to put each boot on, as I had to insert my foot into the boot through a smaller gap, but the cuffs, or collars, did make a neat closure. The very thin laces, such as you might find on a man’s smart dress shoes, are described as “self-locking“ laces; they tighten quickly enough at the bottom of the boot, then wrap neatly around the hooks above the ankle. I could not see exactly how they self-locked, but they stayed tight for the next five hours, without need for adjustment. My inaugural walk was on a terrain of steep slopes, squelchy, oozy grass, deep clinging mud, hard loose stones, and country lanes, with a diversion to inspect the cave of Llewelyn, the last true-born Prince of Wales. The boots were snug and the fit was precise, with good support to my ankles. My feet and legs were tired at the end of the walk, but more because this (in mid-March) was my first long walk of the year. One reviewer described the boots as “chunky”, compared to lighter versions. I don’t agree. My boots felt streamlined, rather than heavy. Certainly not “burly” – another reviewer’s description. There is one unintended benefit from sales of the Tecnica Forge. It gives a boost to the High Street, just when it urgently needs one. Perhaps, like me, you have the occasional guilty thought about the demise of real shops, and your part in bringing it about, as you sit comfortably at home ordering stuff online for next day delivery. You can’t buy the Forge online. It has to be fitted, by a person who has been trained to use the machine. This boot reconnects you to helpful people working in a real, helpful specialist shop.